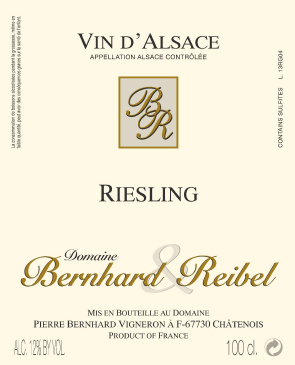 A cuvee of 100% Riesling from the different single sites, produced in a dry style, this wine is a triumphant introduction to the regional characteristics of its Alsatian origin. Exclusively estate grown, the wines are raised on granitic soils that impart site specific characteristics with minerality at the core. Organically farmed in accordance with Ecocert.